1. Is My Pension Plan Contribution Tax-Deductible? 2. What Is a Pension Plan? 3. What Happens to Your Pension if You Die Before You Retire? Planning for retirement is easily one of the most stressful elements of growing older. Although many of us dream of a day when we no longer have to work our daily 9-to-5 grind, it's not uncommon to begin pondering, "What will I do next?" when the time finally arrives to leave the workforce. In order to live an enjoyable and fulfilling retirement, strategic financial planning is critical. Throughout an adult's years of employment, offers for pensions plans and IRA contributions abound. That being said, many adults find themselves with an abundance of retirement options and significantly less understanding of how they actually work. Although pension plans and IRAs are two uniquely different methods of retirement preparation, many adults lump them together interchangeably, which could result in significant confusion and headache later on. 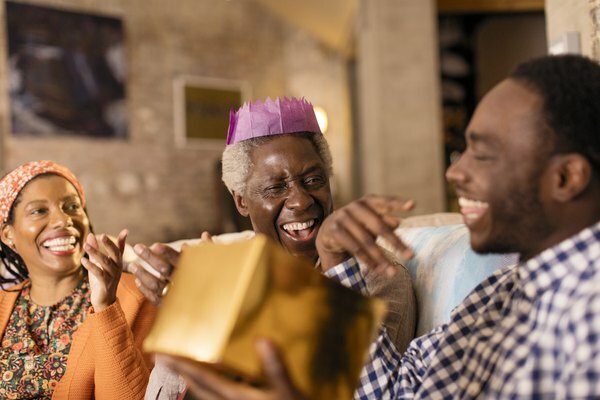 With that in mind, taking the time to properly explore the similarities and differences between a pension plan and an IRA will ensure that you are making the right decisions when it comes to your own golden years. It's helpful to start with a pension definition: a pension plan can be defined as an employee retirement plan in which the employer makes regular contributions throughout the years of employment. The funds that are regularly contributed by the employer are set aside until the employee retires, at which point they can be withdrawn and used as necessary. When an employer sets aside funds for their employee's pension, this money is actively invested with the aim of generating additional income for the employee over time. A variety of additional opportunities may be available to an employee as part of their pension plan. For example, some employers allow employees to make voluntary contributions to their pension fund directly from their paycheck. In some scenarios, employers will match the contributions made by the employee into their pension plan up to a specific amount, effectively doubling the amount of money placed into the pension. Pension plans are commonly divided into two distinct categories, those being the defined-benefit plan and the defined-contribution plan. In a defined-benefit plan, the employer makes a guarantee that a certain sum will be available to their employee at the time of their retirement, regardless of the performance of the fund in which the pension exists. In the event that the pension is unable to cover the benefits that have been guaranteed to the employee, the company is responsible for covering the difference. Defined-benefit plans are common with the public sector, with more than 90 percent of public sector employees relying on these retirement programs. A defined-benefit plan is quite different from a defined-contribution plan. The latter relies upon a series of fixed, agreed-upon contributions to the pension fund throughout the working years of the employee. Although the amount of money invested into the fund is guaranteed, the overall sum that the employee will receive is left variable and based upon the performance of the market. After the pension contribution has been made, the employer cannot be held liable for any gains or losses within the marketplace. Perhaps the best-known example of such a plan is the 401(k), which has become an integral component of modern retirement programs for employers today. An individual retirement account, or IRA, is yet another retirement tool available to individuals. Unlike a pension plan, however, an IRA is not part of a work-sponsored retirement scheme. Instead, individuals can choose to create and contribute to an IRA as they see fit, regardless of whether or not they are employed. An IRA exists as an amalgamation of a variety of investment products, including mutual funds, stocks and bonds, among others. When an individual initiates a self-directed IRA, they can begin contributing funds to a traditional or Roth IRA program and gain access to a myriad of investment platforms. Funds contributed to a traditional IRA program are typically tax-deductible. However, when these funds are eventually withdrawn from the IRA, individuals will be responsible for paying ordinary income tax on them. According to IRS guidelines, up to $5,500 can be contributed to an IRA on an annual basis in 2018. This process differs significantly from a Roth IRA, in which money being contributed must first be taxed. Once the withdrawal period begins, however, individuals will be able to withdraw this money tax-free. It is important to note that these are only two of several possible IRA plans available to investors today. A Simplified Employee Pension IRA, or SEP, is available to self-employed individuals and small business owners. When a business owner contributes to one of their employees' SEP IRAs, these funds can typically be deducted from the income of the business, which in turn could reduce annual tax obligations. Perhaps the most significant difference between a pension and an IRA is the source of the money used to fund the account. Whereas pensions are funded by an employer, individuals can contribute to an IRA regardless of whether or not they are employed. With that in mind, it could also be noted that individuals have a greater degree of control over their IRA than they would an employer-sponsored pension plan. These two programs are not mutually exclusive, however. An employed individual can also contribute to an IRA if they choose to do so. Although a pension plan may be more lucrative for individuals, particularly if their employer is matching their contributions, both programs have their own distinct benefits that can provide individuals with valuable support for their retirement years. If you are approaching a time when retirement planning has become necessary, making an effort to explore these two programs can provide significant benefits over time. If you are employed full-time with a business, the chances are good that your employer has discussed your pension options with you. If this discussion has not occurred, you should consider approaching the topic with the relevant parties in order to ensure you fully understand what, if any, plans are being made for your eventual retirement. For those who are self-employed, as well as those who may be seeking additional funding opportunities for their retirement, the Internal Revenue Service offers a wide selection of documentation related to IRA accounts. It is in your best interest to evaluate your own financial circumstances and determine whether or not you should be contributing pre-tax or after-tax funds to your IRA. Depending upon the number of years you have remaining until retirement, you can tailor your contribution schedule in order to ensure that you will have your desired funds available when you eventually quit working. That being said, there is no stipulation that you must quit working fully in order to enjoy the benefits of an IRA. With that in mind, you should consider making contributions to one of these programs a priority for you in the near future. If you have any questions about these plans or what specific opportunity may be most compatible for your own financial circumstances, you should consult with a financial planner or a member of your professional staff. Taking the time to properly assess these programs will ensure the most optimal outcome over time. The Motley Fool: What Is the Difference Between IRAs and Pension Plans? Are IRA Accounts ERISA Qualified? Can a Defined-Contribution Pension Plan Be Rolled Over Into an IRA? When Do Pension Benefits Expire? Can I Deduct Losses From Rolling a Qualified Annuity Into Another Qualified Plan? What Are Fully Taxable Pensions & Annuities?